Feb. 21, 2001 - Four Backstreet Boys are better than none, it seems. On Tuesday night at the Pepsi Center, the Backstreet Boys, who were in the middle of a 23-city tour, played to a sold-out crowd - minus one of their own. Kevin Richardson, who was in Los Angeles for a photo shoot earlier in the day, was unable to make the show after poor weather conditions at Denver International Airport prevented his flight from landing. He left the rest of the group - Nick Carter, Howie Dorough, Brian Littrell and A.J. McLean - to put on the show. And the Boys didn't disappoint. Even without Richardson, the group managed to thrill the crowd of mostly girls with songs from their latest release, "Black and Blue," which has sold more than 8 million copies in the United States. The highlight of the show was a medley of ballads from all three of the group's U.S. releases, which had the four remaining Backstreeters perform from the middle of the Pepsi Center arena floor. The Boys also made up for Richardson's absence by announcing their plans to return to Denver this summer when the second leg of their current tour begins. Before the announcement, members of the crowd were given the option of a refund for their tickets. None took up the offer. 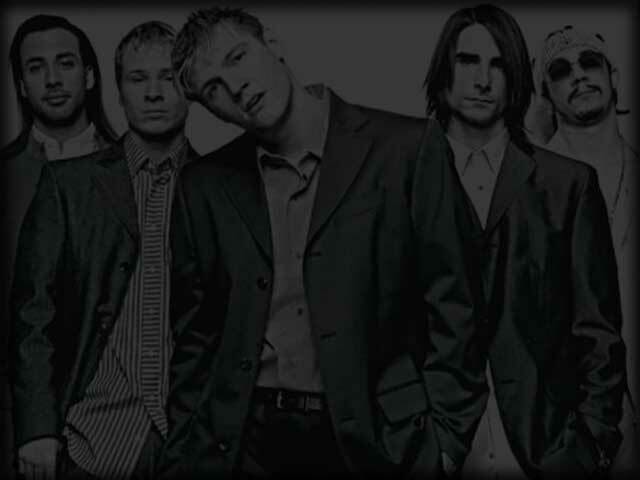 "Black and Blue" features five songs co-written by members of the group, as well as two songs, "The Answer to Our Life" and "Time," written by all five Backstreet Boys. Despite the set list's heavy tilt toward "Black and Blue," the group also managed to mix in hits from their previous releases, "Millennium," which has sold more than 12 million copies in the U.S., and their self-titled U.S. debut. In the middle of the song "Time," a catwalk was lowered from the arena's roof, allowing the group to walk back to the main stage and get closer to their adoring fans along the way. Hours before the concert began, Backstreet mania hit Denver hard. Tickets to Tuesday's show sold out within minutes. For 13-year-old Mallory Hashaw of Fort Collins, the concert tickets were a birthday present. Mallory was accompanied to the concert by her father, Terry, and said her favorite Backstreet Boy was A.J. "Dad, who's your favorite Backstreet Boy?" she asked. "I don't think I have one, hon," he replied. Speaking of birthdays, Tuesday also was Littrell's 26th. The remaining members took time early in the show to sing "Happy Birthday" to their band mate, and made even that simple tune stunningly beautiful with their distinctive voices. The Boys started their encore with their latest single, "The Call," before rounding out the evening with the mid-tempo ballad "Shape of My Heart."